It is believed there are 229,000 to 306,000 people living with spinal cord injuries any given year. Paralysis is among one of the most serious results in an accident. Not only is a person’s mobility and enjoyment of life affected, but the financial toll can be devastating as well. The Christopher & Dana Reeve Foundation estimates the first-year cost of quadriplegia to be anywhere from $769,351 for low-level tetraplegia, to over $1 million for severe tetraplegia. Every year after that costs patients $113,000 – $184,891. Over the course of a lifetime, a Californian suffering injury to all four limbs can anticipate lifetime medical bills exceeding $2-$4 million. These estimates do not include the loss of income, benefits, or productivity – which averaged an additional $71,961 per year in 2014. A year after injury, 11% of quadriplegics are back at work in some capacity. Twenty years later, a third of quadriplegics are at a similar level of employment as they were prior to the accident. Ellis Injury Law Firm can help you recover some of these costs when another party’s negligence has contributed to the cause of your injury. Any injury high in the spinal cord can affect multiple regions in the brain and lead to paralysis of the limbs. In rare cases, untreated spinal cord infections, lesions, brain tumors, and congenital defects can cause quadriplegia. What is a quadriplegic, versus a paraplegic or tetraplegic? A quadriplegic is a person suffering from quadriplegia. The quadriplegia definition differs from paraplegia based on the location of a spinal cord injury and the number of limbs affected. With paraplegia, the first thoracic spinal levels are affected, causing disability in the legs. Some may only suffer from decreased sensation or tingling in the legs, while others are completely paralyzed from the waist down. Quadriplegia, sometimes called tetraplegia, refers to a spinal cord injury above the first thoracic vertebra or within the cervical sections C1-C8, resulting in paralysis in the arms and the legs. Again, the degree of paralysis varies depending on the nature of the injury and the success of rehabilitative therapy. The effects of quadriplegia can result in severe pain, loss of bladder and bowel function, muscle spasms, sexual dysfunction and loss of fertility. In the worse cases, quadriplegics are left with what is called “locked-in syndrome,” where they are aware of what’s going on around them, but cannot communicate with anyone. Despite advances in medical care and technology, many quadriplegics still face shortened lifespans. A 2012 study found that 8.2% of tetraplegics die within 12 months of injury. Among first-year survivors, the 40-year survival rate is roughly 47%. A compression fracture of the middle and lower parts of the spine is a common injury sustained in a car accident. As impact occurs, the upper body can be propelled forward at the same time that the lower body is secured in place due to a seatbelt or other obstruction. As a result, the vertebrae can be broken and/or pulled apart. 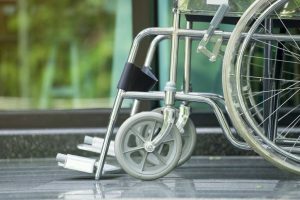 When are quadriplegia injuries eligible for lawsuit claims? Legally, a person can sue when another party’s negligence is a contributing factor to the cause of the accident that resulted in quadriplegia. You may be eligible to file a lawsuit if the causes of your injury can be traced back to unsafe practices, recklessness, inattentiveness, or negligence. Employers, medical practitioners, coworkers, aggressors, or sports leagues can all potentially be sued for damages. 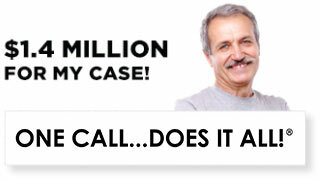 How much is my quadriplegia injury worth? 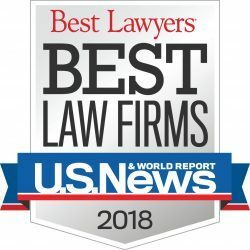 Settlements and jury awards for quadriplegic injury not only include tangible losses like medical expenses, rehabilitation costs, assistive technology, home modifications, reduced income, reduced earning capacity, and disability – but also emotional pain and suffering over the course of a lifetime. Families can sue for loss of consortium, loss of income, loss of guidance, and loss of companionship, too. In the worst cases, funeral benefits and wrongful death compensation is paid out to surviving loved ones. Quadriplegia damages are typically high due to the amount of pain and suffering they cause. $8,000: Disneyland was ordered to pay a quadriplegic man thousands of dollars after he was left sitting on the broken-down “It’s A Small World Ride” for 30 minutes. The man suffered from panic attacks, high blood pressure, and the frequent need to urinate as a result of his disability. It took three hours to stabilize his condition following the incident. He sued for violation of disability law and received additional funds for pain and suffering. $5.7 Million: In 2012, Robert Contreras was awarded a large sum of money after he was shot by an LAPD officer who mistook his cellphone for a gun. The police appealed the decision, arguing that the man was fleeing at the time, but the award was subsequently upheld in court. $7.9 Million: The plaintiff was rendered a quadriplegic after suffering an allergic reaction from bilateral C1-C2 joint injections and bilateral C2 selective nerve root blocks performed by the defendants. $18.6 Million: Aspiring lawyer and athlete Harold Leon Bostick became a quadriplegic when weightlifting equipment malfunctioned at a Gold’s Gym in Venice Beach. The final verdict came after 8 years of court battles. $18.4 Million: In 2009, a California school district paid a 15-year-old a settlement when he was dropped to the ground headfirst during horseplay at high school track practice. A substitute coach was found partially liable for ignoring what was happening on the field and failing to intervene appropriately. $55 Million: In 2007, a mother was awarded $55 Million after a Mother’s Day car wreck in Costa Mesa that left her five-year-old daughter a quadriplegic. The girl required 24 surgeries, including a tracheotomy and a bone graft, and was given a life expectancy of 35 years. $56 Million: In 2017, a Humboldt County jury ordered Caltrans to pay a construction worker the largest sum in state history for creating a dangerous condition resulting in quadriplegia. According to the lawsuit, Caltrans denied a request for a lane closure on the Broadway construction project, removed a backhoe that functioned as a barrier to traffic, and adjusted a work light tower to a blinding position. Kyle Anderson had been sitting in a hole dug across the west curb of Broadway updating signal light wiring when a 28-year-old woman accidentally hit him with her car. 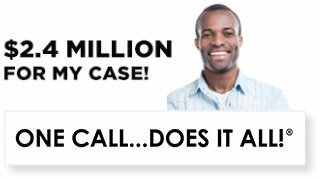 Do you need a quadriplegic injury lawyer? 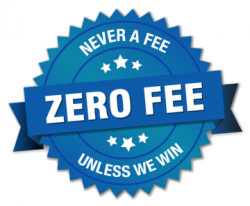 Andy Ellis and his team of personal injury attorneys at Ellis Injury Law Firm have extensive experience — both in negotiating high out-of-court settlements and in litigating hard-fought court battles — involving quadriplegics. It takes a seasoned lawyer with a vast network of medical professionals, insurance experts, and accident investigators to build a substantial case proving negligence and liability. We have over 20 office locations throughout the State of California, including Los Angeles County, El Segundo, and Southern California. 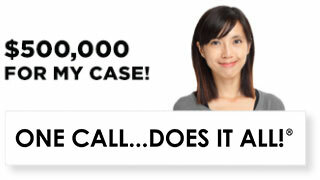 Contact us for a free case review and pay nothing unless we win money on your behalf.